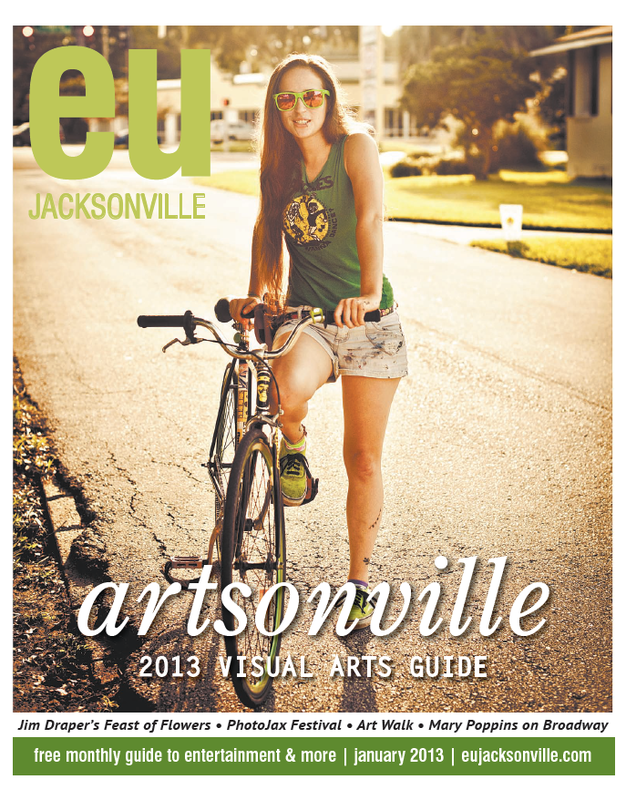 We are really stoked to have a cyclist on the cover of EU Jacksonville. Her name is Emily Bjork and the photography was shot by Dennis Ho. Both of them are local artists and supporters of cycling here in sunny Jacksonville, Florida. I’d like to take a moment to thank the local media for doing a pretty great job for the past year or so of highlighting cycling in Jacksonville, making sure to also indicate in many articles how unusually dangerous it is in our city. We appreciate the coverage immensely. It is a great aid to our cause in advocacy. We are hopeful that future articles will not have to indicate how dangerous it is here and will instead simply highlight the more enjoyable aspects of riding in Duval.